CROW officials say the reason the birds have died from red tide poisoning is the toxins from the bloom last year are trapped in the food chain. SANIBEL, Fla. -- Red tide was a huge problem in Southwest Florida in 2018. We saw dead fish wash up on beaches, along with sea turtles and birds. 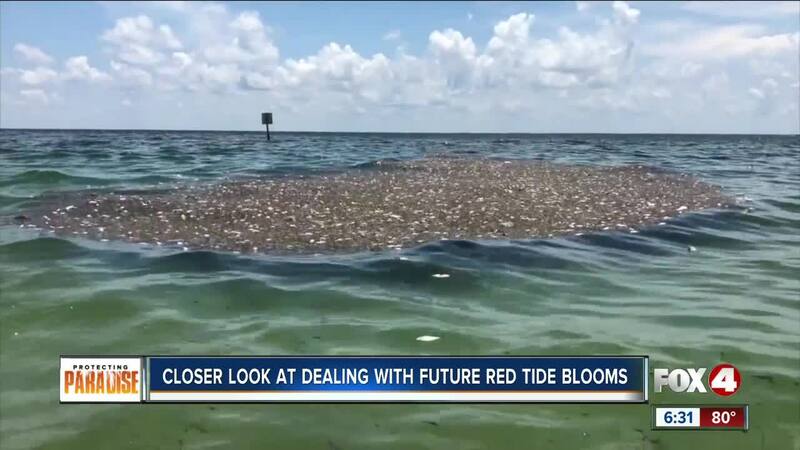 After last year scientist and researchers are preparing for a potential red tide bloom. C.R.O.W., the Center for the Rehabilitation of Wildlife, says three birds have died from red ride poisoning this week. Fox 4 checked in with Florida Fish & Wildlife to see what the status of red tide is. The FWC says there are thousands of cells per liter in the water, compared millions in 2018. So the red tide concentrations are almost non-existent at the moment. CROW officials say the reason the birds have died from red tide poisoning, is the toxins from the bloom last year are trapped in the food chain. "It can take a while for those toxins for those toxins to completely disappear out of the food chain, months sometimes even,” said Dr. Heather Barron, the CROW Medical Research Director. Barron tells Fox 4, more than 750 animals have died due to red tide poisoning, from October 2018, to now. But if there is a silver lining in those deaths - Barron says they’ve learned a lot. Barron says they know what’s in the animal's kidney’s and liver, and they have better treatments to help these animals. "We’re really seeing our survival rate increase quite a bit,” said Barron.